South Africa’s biggest premier dance music festival is yet again back and ready to create those dance floor memories. The Ekurhuleni Spring Fiesta celebrates its 7th Birthday & Dance Cultures National Holiday on the 7th October 2017 at our well-known prestigious party playground Wild Waters complex in Ekurhuleni. Mzansi stand up!!! As it’s time to reveal what we have in store for ya’ll. Known for his classic anthems “Finally”, “Diamond Life” & “Fall For You” featuring two sensational vocalists, that have been penetrating the dance charts over the past 15 years. 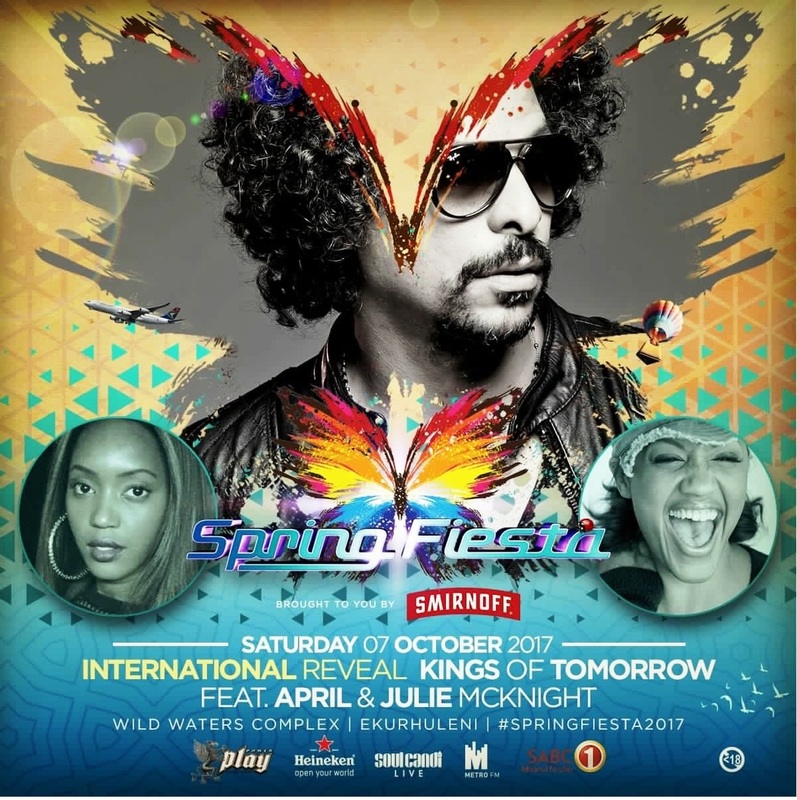 The Spring Fiesta is excited to welcome & announce International guests KINGS OF TOMORROW [Sandy Rivera] featuring Julie McKnight & April all the way from the United States & United Kingdom, who are set to perform at the #SpringFiesta2017. Check out some cool hospitality packages for the Spring Fiesta. Don’t live in Gauteng or South Africa, and you want to be part of #SpringFiiesta2017? We’re excited to announce our partnership with South African Airways. SAA are offering Patrons 5-18% discounted off airfares for flights within a 2 week period before or after the 7th October 2017. Simply book on www.flysaa.com and use the following promo code: SFSAA2017 upon checking out. Subject to availability. Terms & conditions apply. 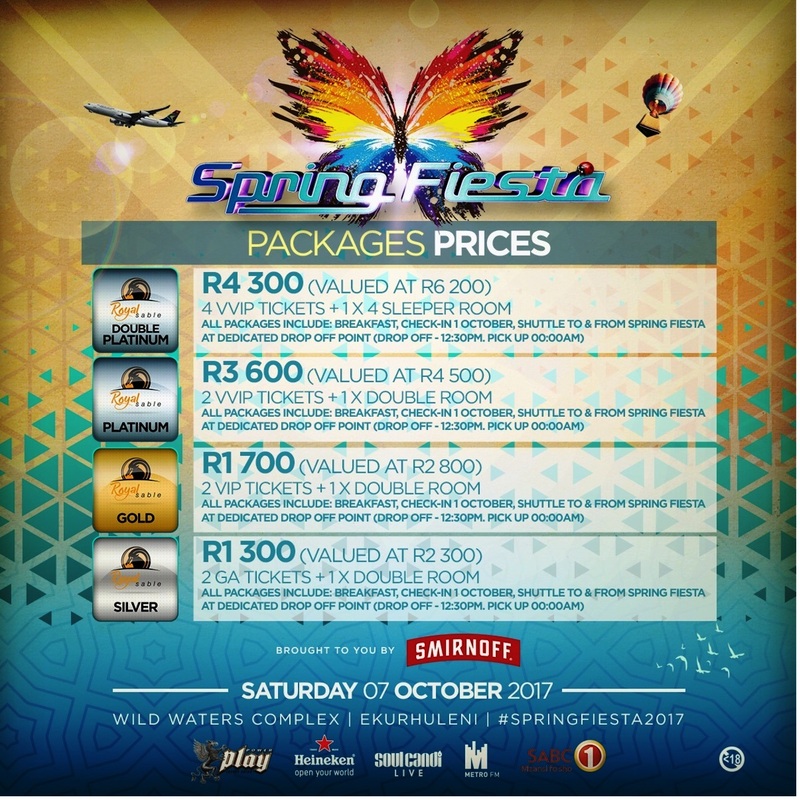 Spring Fiesta 2017 also offers exclusive affordable hospitality package deals to take your 2017 Spring Fiesta experience to the Next level. 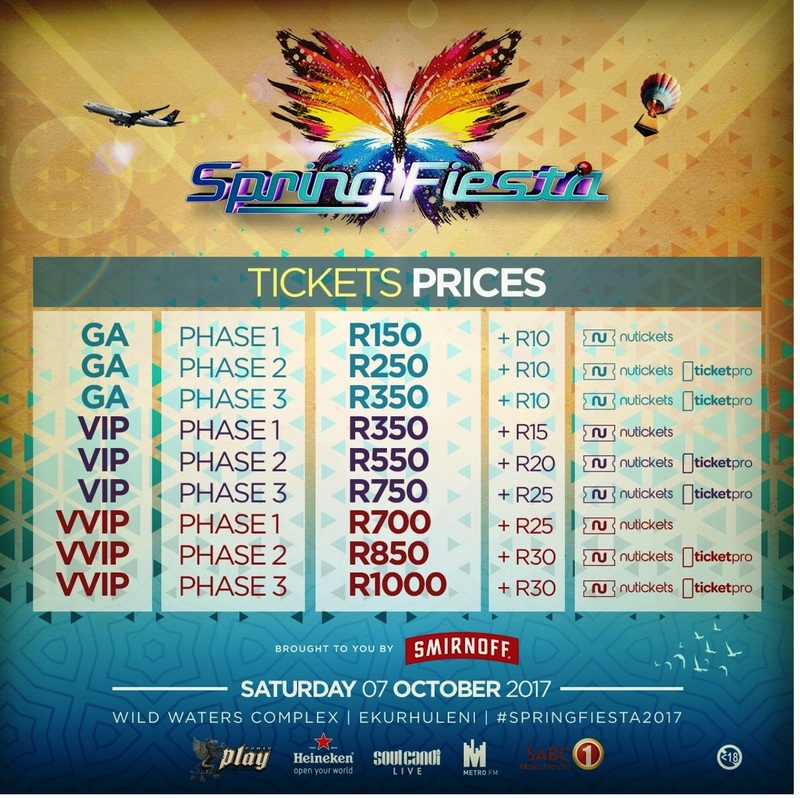 Our Package deals include tickets to Spring Fiesta, accommodation and a shuttle to & from Spring Fiesta. Book your package deal to be part of the Spring Fiesta ambiance. Collaborators Note: Patrons can connect with the Spring Fiesta Party by following the social handles: Facebook, Twitter, Instagram.